You'd think that moving from Florida to the Pacific NorthWest would be relaxing (well, ok, except for the cold). When I think of Florida, I think of cities, Disney, huge crowds and the Caribbean Ocean. When I think of Washington and Oregon, I think tall pine trees and the Space Needle. (And y'all, I KNOW there's more to those wonderful states than that!) But Jax's life has sure spiced up since moving north. 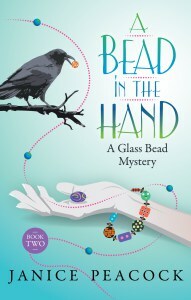 In the first of the "Glass Bead Mysteries", High Strung, Jax finds the body of a local bead artist. Her friend Tessa is accused of the crime, and Jax has to help her out. In this second installment, Jax travels to a bead show in Oregon, finds a body and is the lead suspect...so she has to help herself out! You see, the police decide Jax is the best suspect because she had means (heavy objects and electricity), motive (the victim was the kind of person you love to hate - she thought she was better than everyone else) and opportunity (her booth was next to Jax's). And it's probably a function of the 'newness' of the detective, but she practically blackmails Jax into helping her out (unofficially, of course). 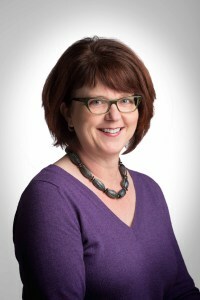 Being carted off in handcuffs in front of one's peers is humiliating and damaging to one's reputation. And let's face it, we may read cozy and act cozy, but when our favorite heros and heroines get in trouble, we get all riled up! I did like getting other facets of the friendship between Jax, Tessa and Val. Val is Jax's serial bad-boy-dating duplex-mate. Tessa is Jax's best friend and sister bead maker. Tessa spends a great deal of the weekend minding Jax's booth at the bead bazaar when she would rather be out shopping for beads for herself and her shop. And Val ... well, she just has to be experienced. She'd like a force of nature - bigger than life. Jax, Tessa or Val on their own are quite capable women. Together ... let's just say, murderers beware! This trio is a force to be reckoned with. But they are also real women, with good qualities as well as flaws - and therefore female characters to which we can relate. I'd go beading or sleuthing with any one (or all) of these ladies anytime! Bring on more adventures! 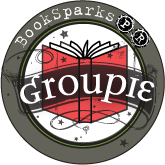 We are smack dab in the middle of the tour, so click the banner to go to the tour site where you will find more reviews, as well as guest posts and author interviews! You can also sign up to be a blog host for future book tours! Wow! Thank you for the amazing review. It perked me up immensely this morning, after a late night of re-writing plot lines for my next book! I'm going to share this all over the place. I'd hug ya if could! Love the name of the book and I used to live in the bay area for 48 years till I met the man I married and moved to Iowa. My family of kids and grandkids are still there. It seems like moving certainly didn't bring across the relaxing scene she hoped for! And what a shock to find a dead body underneath your own stall. Although sometimes it never ceases to amaze me that the police can't be too intelligent >.> I mean, if she did kill someone, would she really put it under her own market stall out in the open? My 3rd Annual Love For Books Read-a-thon Sign-up!